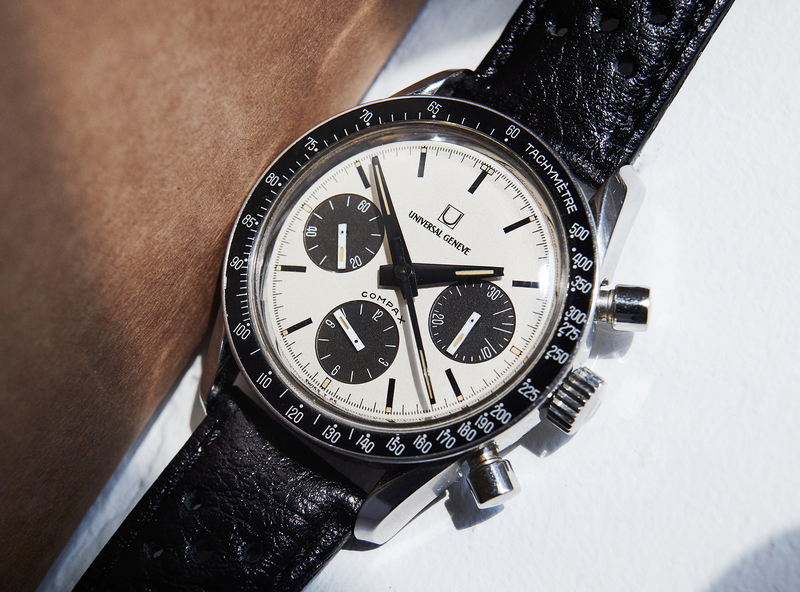 Please take a seat before looking at this watch! 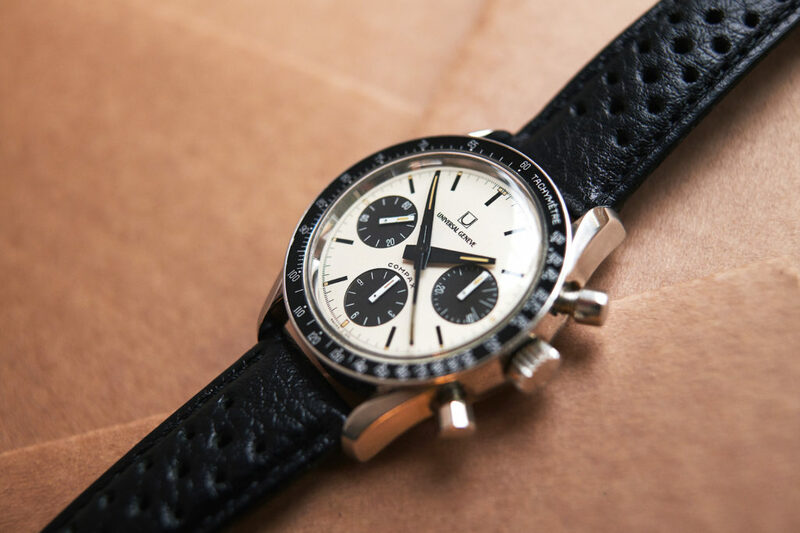 This is a rare collectorsdream, the Universal Geneve Compax panda dial, reference 885103/02, the so called „Nina Rindt“, after the wife of famous Formula 1 driver Jochen Rindt. 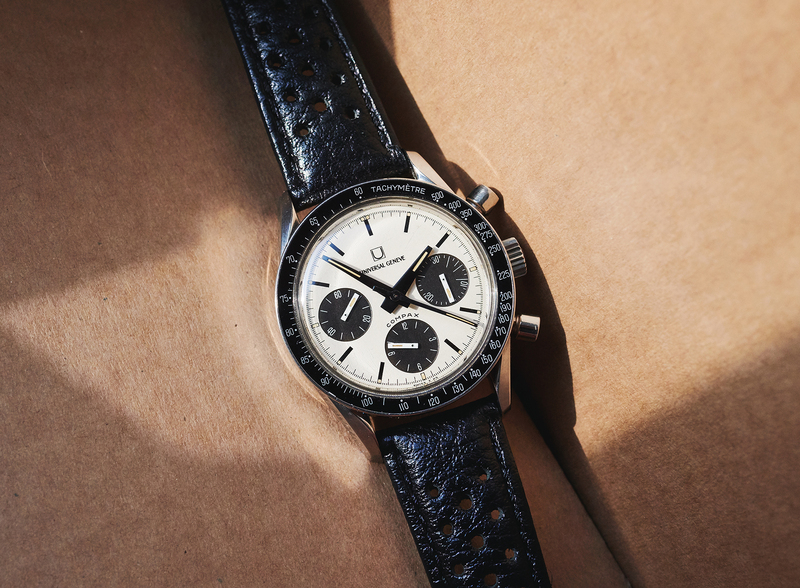 She was often photographed on racetracks wearing this chronograph back then in the 60s and 70s. 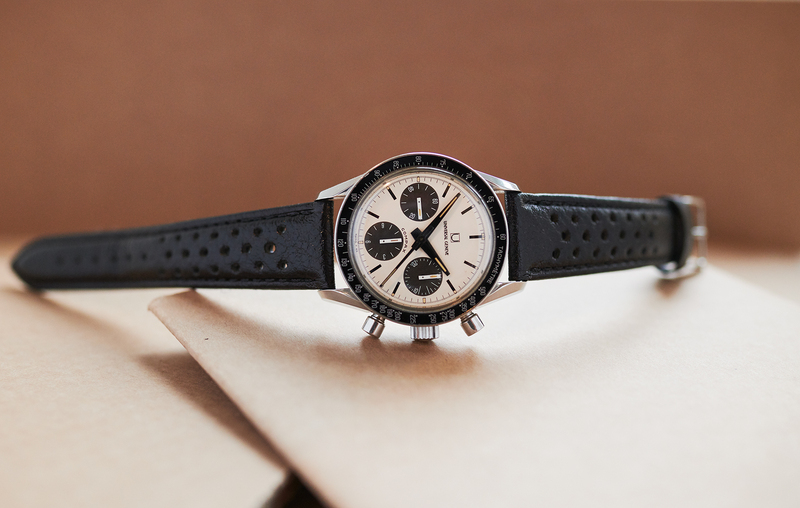 Even when this watch became famous over Nina´s wrist it is still a 37mm men´s chronograph. 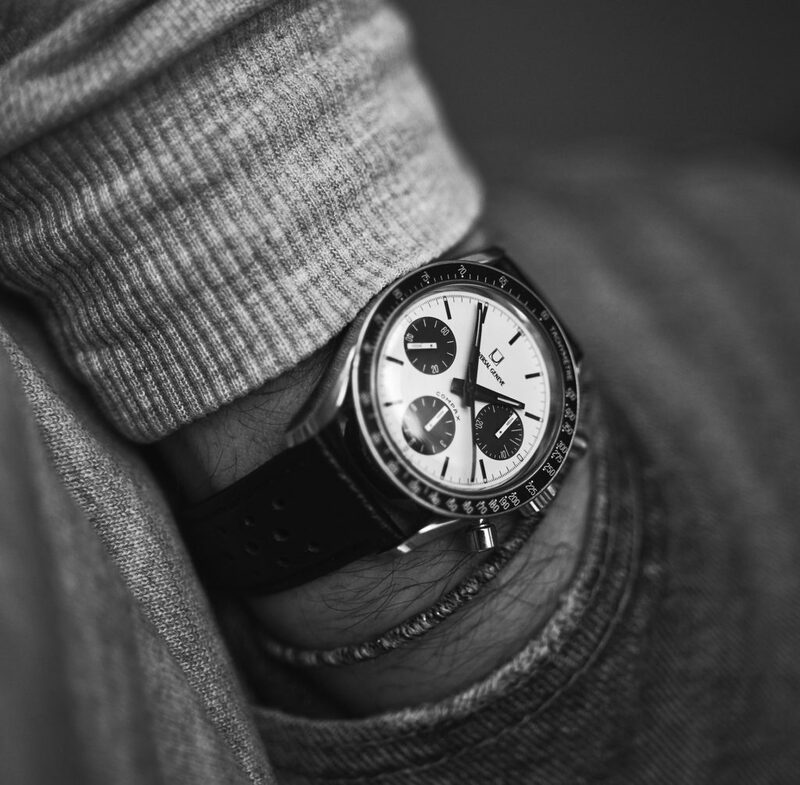 Powered with the same legendary Valjoux 72, it is the equivalent to the Rolex Daytona from that time, only that it is so much rarer, even much rarer than any Paul Newman Daytona. 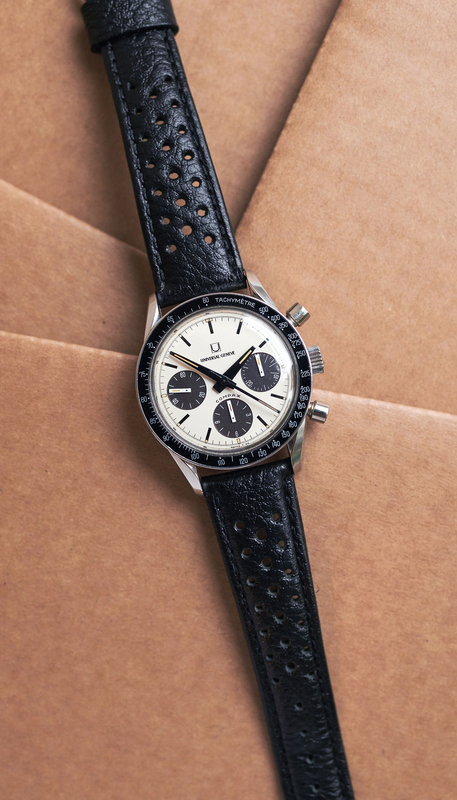 To find an mk2 (black mainhands and block-subdialhands) example in the condition like this one here is almost impossible nowadays. 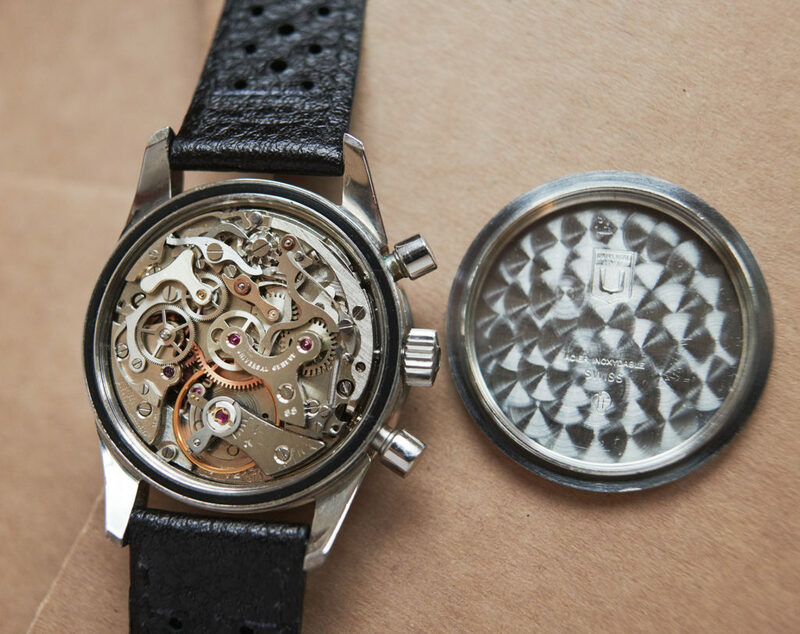 The top pieces have allready been collected years ago and usually stay in those important wristwatch collections. 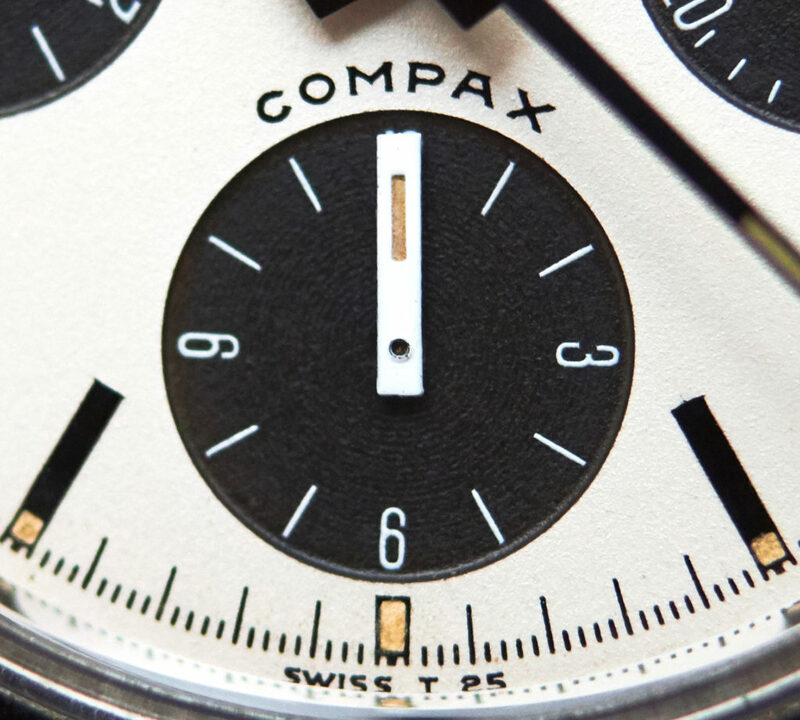 Our example has never been on the open market before and it´s condition is simply just overwhelming with a flawless lightcremewhite dial with authentic tritium lume. The original handset lume is matching that warmtoned dial-tritium in color (The lume was UV light tested and is all over correct). 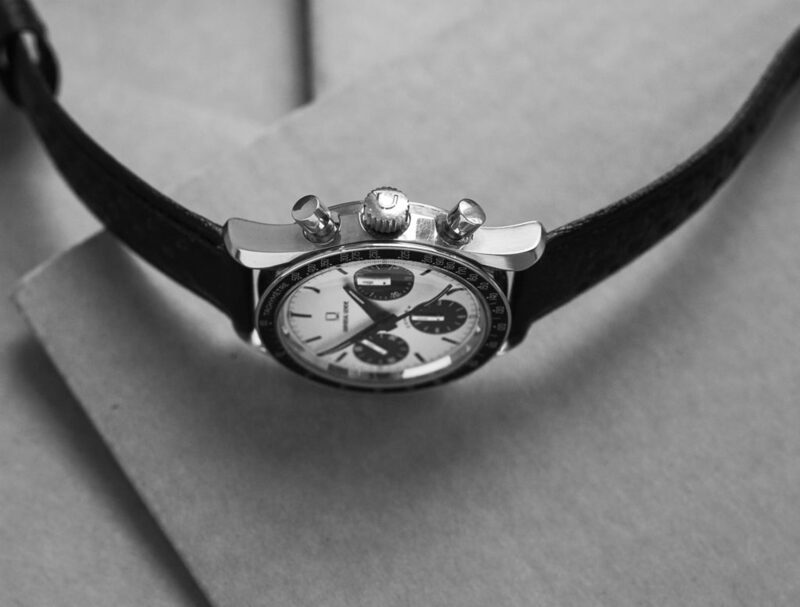 Depending on the angle and sunlightsituation the subdials appear in a light brow- or greytone. 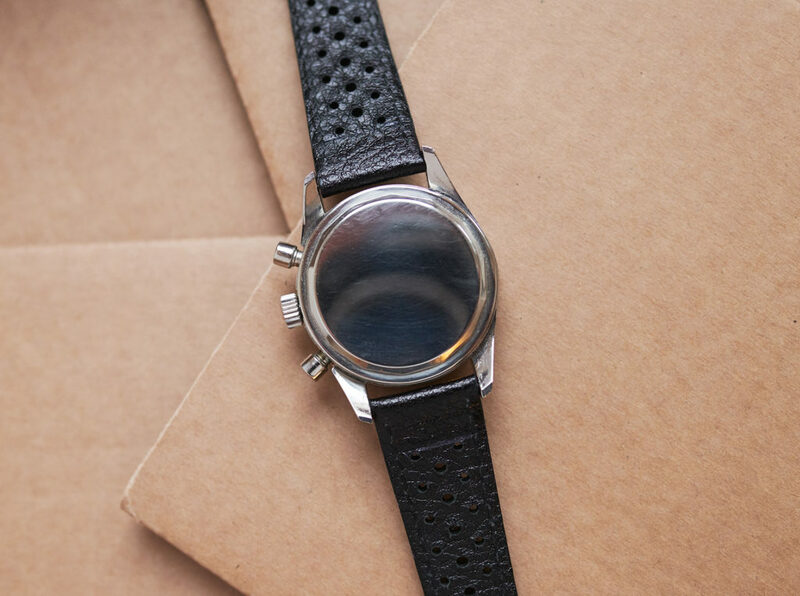 The case with it´s typical twisted lugs appears with clearly readable numbers on the HF caseback, carrying original pushers and the U-signed bigcrown. 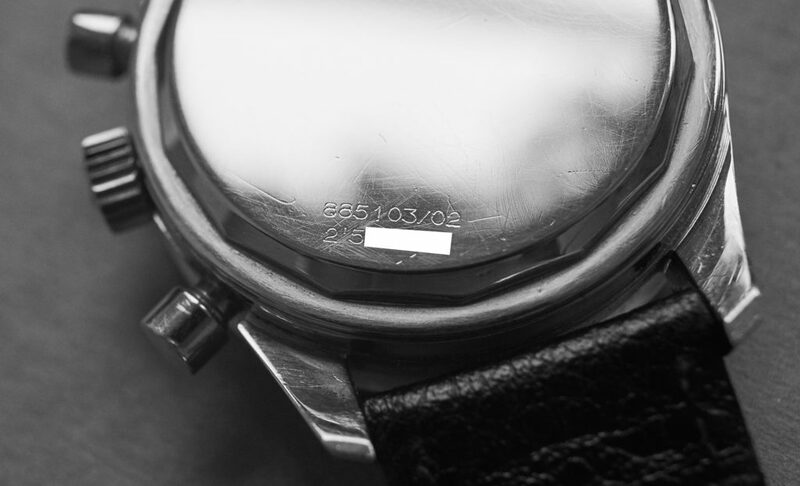 One issue, the most „Nina´s“ outthere have to deal with, is a scratched bezel, unlike this piece, which comes with an almost perfect one. 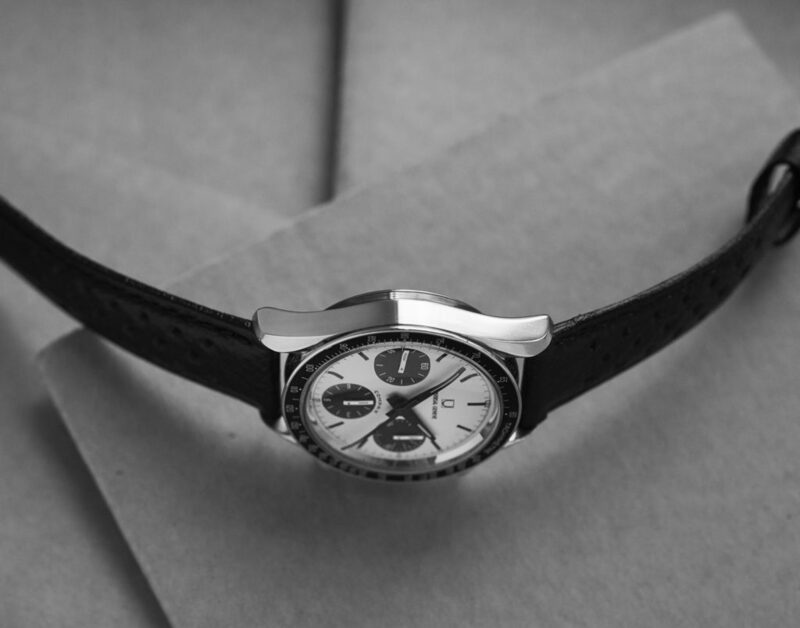 The Valjoux 72 has the required no 85 engraved on the bridge and is running perfectly in all functions. 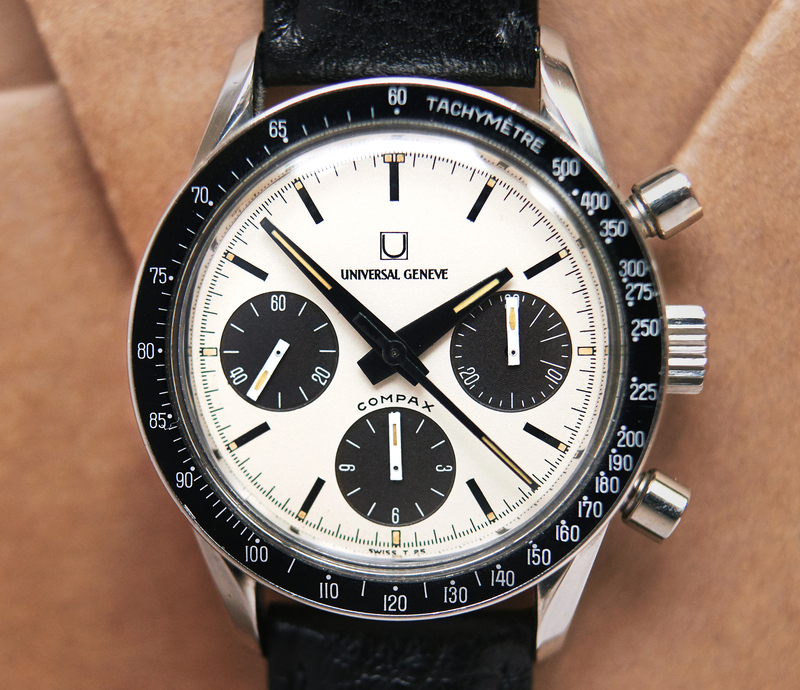 Alltogether this UG compax is one of the nicest and most charming we have ever seen. 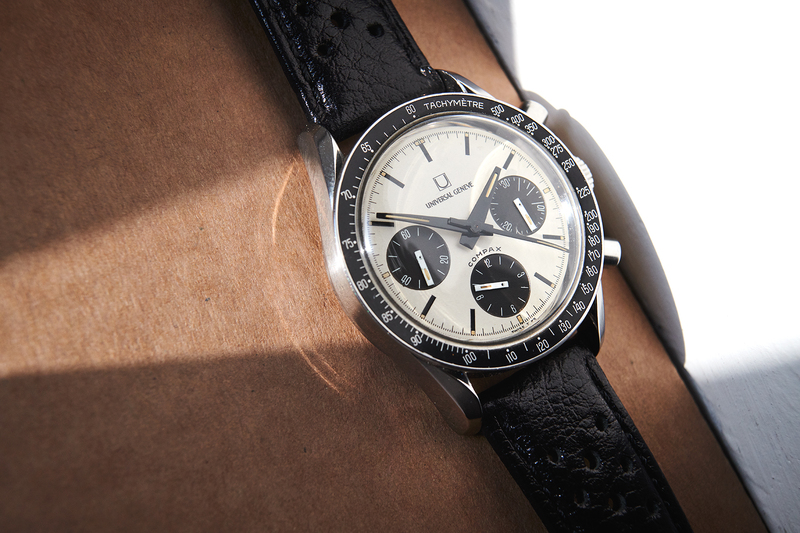 It comes on a black racing leatherstrap.